Which puffle are YOU most like? Are you spontaneous and artistic like a yellow puffle – or silly and funny like a green one? 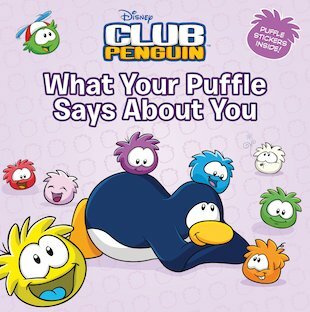 Find your unique puffle personality in this cool book of quizzes! 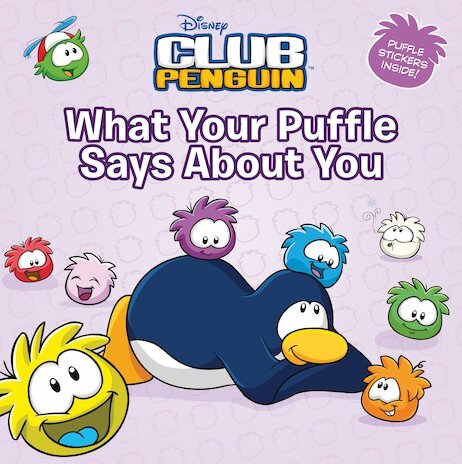 Discover which puffle resembles you most – and what that says about YOU! Then let your imagination run wild. Design fantastic outfits based on your puffle colour, dream up a fantastic puffle holiday, and create the coolest puffle party ever! A fantastic fill-in book of stuff to learn about yourself, which comes with 40 adorable puffle stickers. It’s fun and exiting. You get to design your own puffle and you get loads of stickers! All for £5.99!!!!!!!!!!!!!!!!!!!!!!! !